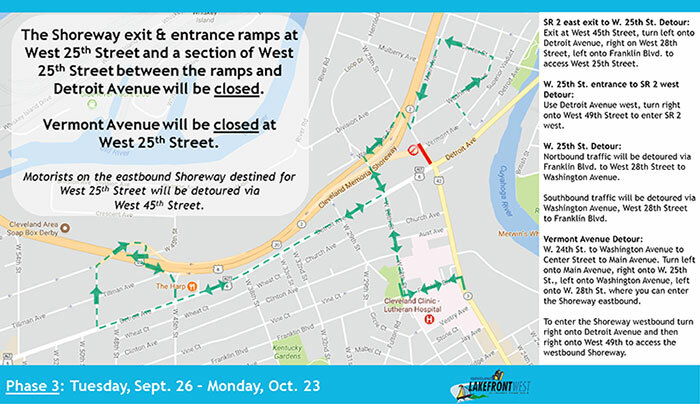 W. 25 St between Detroit Rd & the West Shoreway Ramps will be closed until late October. EXPECT DELAYS AND GIVE YOURSELF EXTRA TIME TO GET TO THE CLUB! Refer to the ODOT map below for detour information.